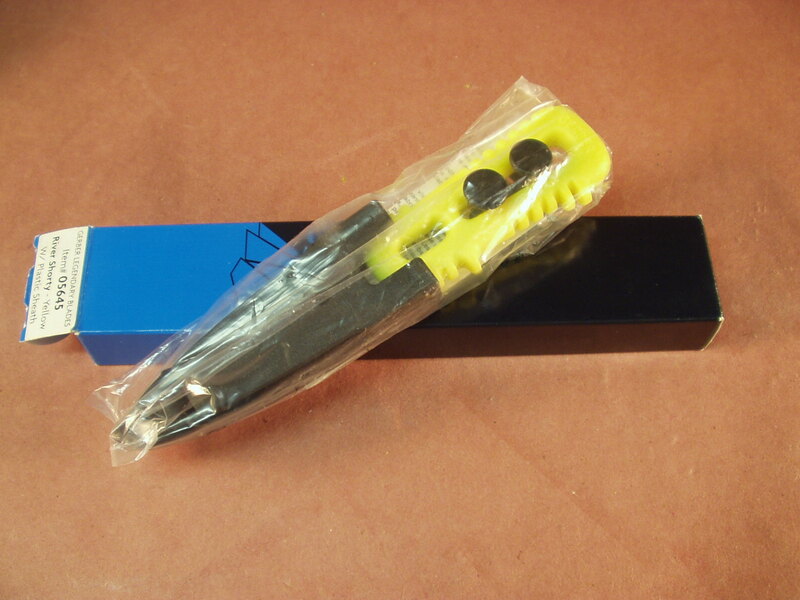 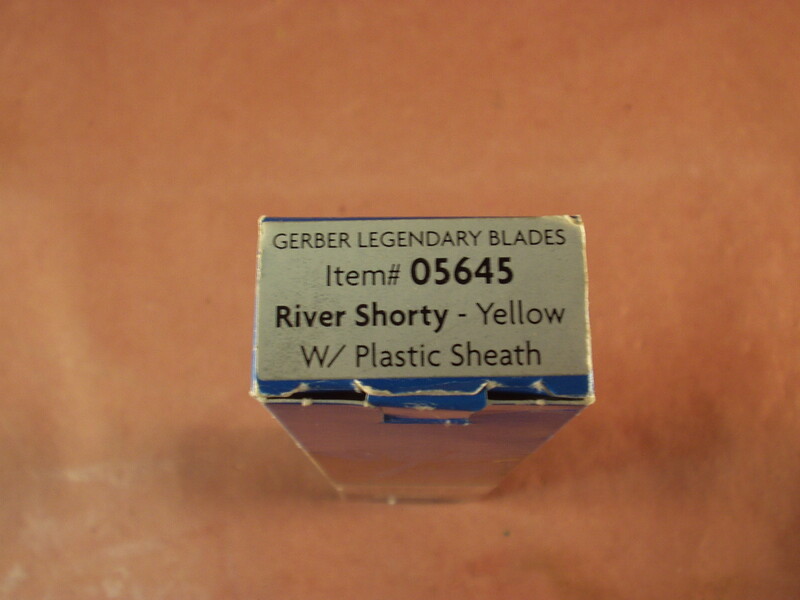 Just received in our shop is a NIB Gerber Yellow Handled River Shorty Knife #05645. 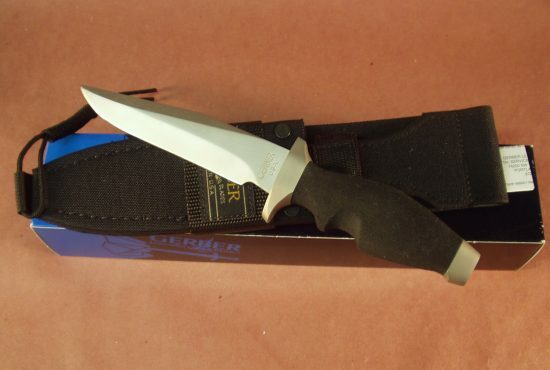 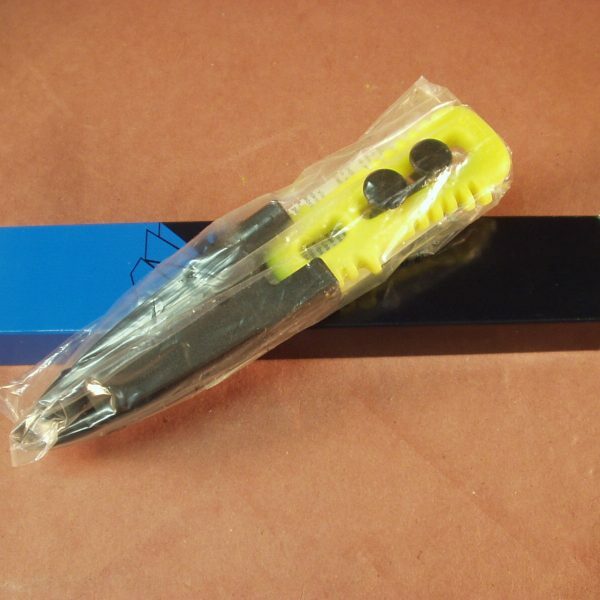 Knife is still sealed in the plastic bag and comes with proper sheath. 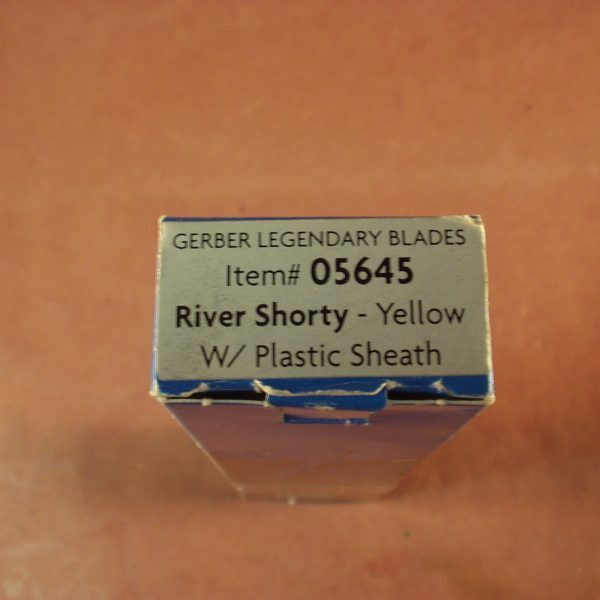 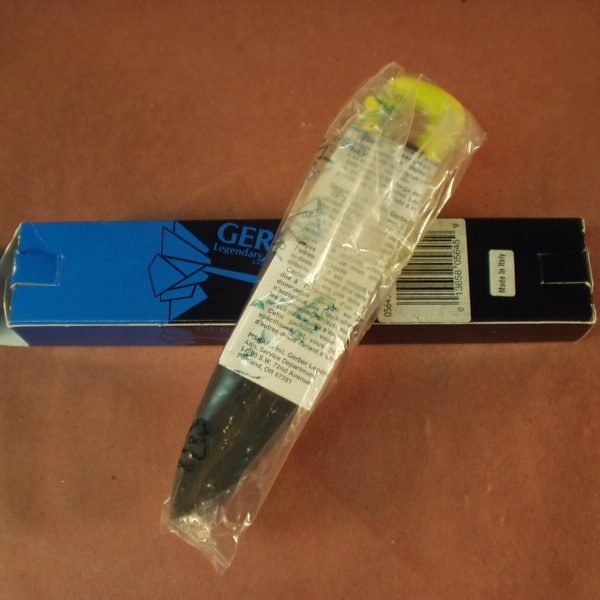 There were make by Gerber some time ago and newer ones are still available but this one in connection with the blue and black box dates it back to the mid to late 1990’s. 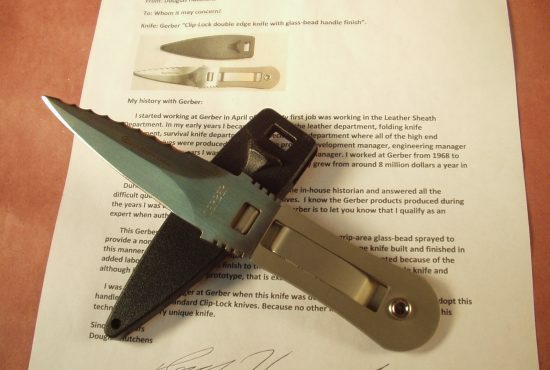 Great item to add to your collection or put it to work as Gerber intended all their knife to end up. 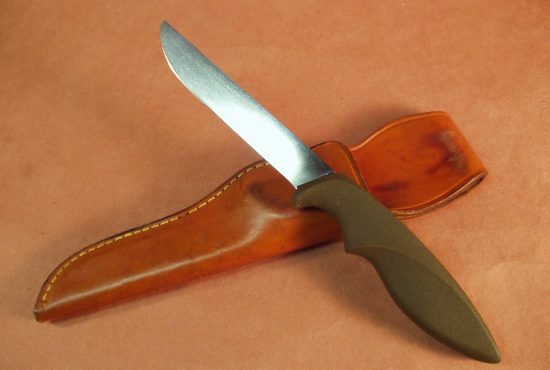 A knife Is one of the most important items you should have period, regardless where you are. 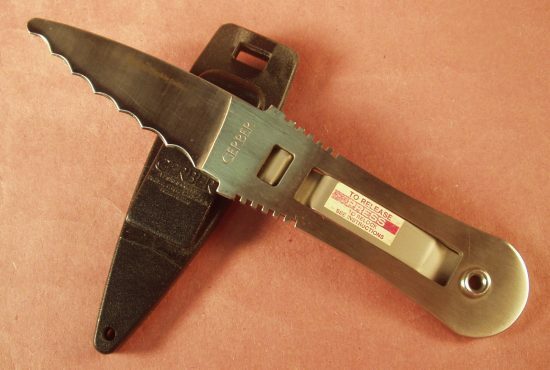 If on the water this knife is a must as you never know what you may run into. 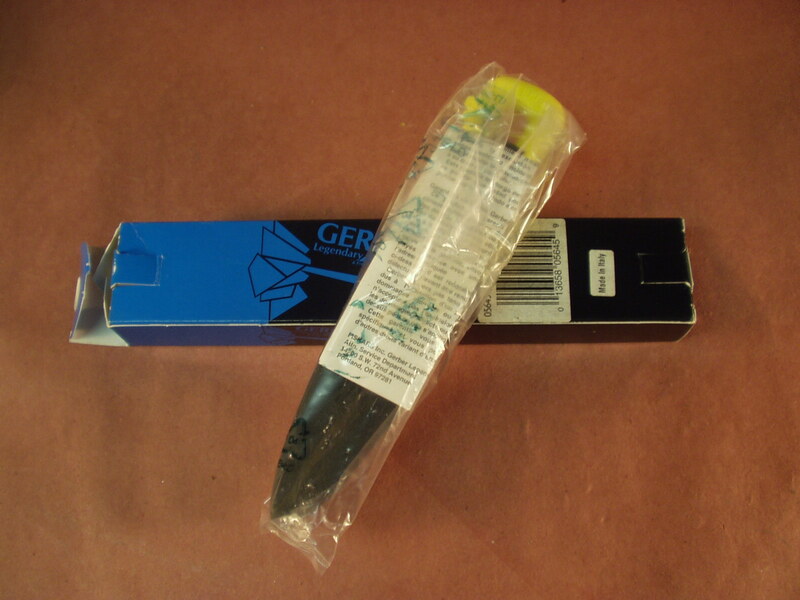 These knife were designed by Gerber buy actually made in Italy, comes with instructions.